Jan Traylen: Horseradish: A Landscape of Images. The curly leaf of the root vegetable. Armoracia rusticana in the allotment. 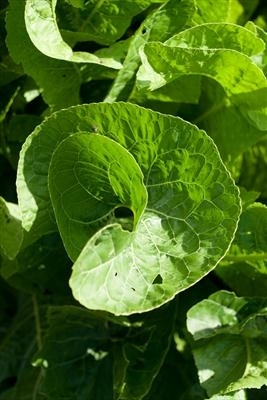 The leaves have an interesting spiral shape.